Asthma is a chronic, or long-term, disease that inflames and narrows the airways of your lungs. Asthma causes a variety of symptoms that can worsen at any time, making breathing difficult. Unfortunately, there is no cure for asthma. Even when you are not having symptoms, you may still have inflammation in your lungs. 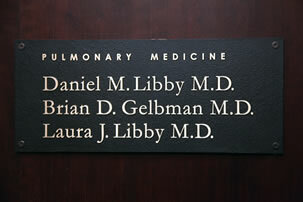 Our doctors are experts in diagnosing and treating individuals with Asthma. A whistling sound heard when breathing in or out. A cough that may not go away and often occurs or worsens at night or early morning. Feeling as if something is squeezing or sitting on your chest. Feeling as though you can’t catch your breath. You may feel as though you are breathless. The severity and frequency of asthma symptoms can vary depending on how well controlled your asthma is, your exposure to asthma triggers, and other factors. The main components of asthma are airway inflammation and airway constriction. Both components affect the airways of your lungs, making it more difficult for you to breathe. It’s important to treat asthma symptoms as soon as you notice them to help prevent them from getting worse or causing a severe asthma attack. There is also remodeling in the airways of your lung that can become permanent if you have repeated asthma symtoms, this is another reason it is important to come in and see your doctor to ensure your asthma is under control. We can also perform breathing tests that can help determine if permanent structural damage has been done or if the airflow obstruction is still reversible. When you have asthma, the airways of your lungs can be more sensitive to allergens and to irritants like smoke and dust. This causes the immune system to overreact and produce persistent inflammation in the airways. Inflammation can cause a swelling of the lining of the airways, reducing the amount of air that you take in or breathe out. In some cases, too much thick mucus is produced, which further obstructs the airways. Your airways may be inflamed even when you aren’t having symptoms. When the airways stay inflamed over time, they may become more sensitive to asthma triggers. Then, each time you are exposed to triggers, your inflammation and symptoms may get worse. Airway constriction, or bronchoconstriction, often accompanies inflammation. You may feel a tightening in your chest as the muscles around your airways constrict, or squeeze together. When this happens to airways already narrowed by inflammation, it may obstruct the airways further and make it even harder for you to breathe. Together, airway constriction and airway inflammation can result in the common asthma symptoms that you may experience from time to time: wheezing, coughing, chest tightness, or shortness of breath.